Use to check pH of wood before applying Lifeline finishes. No matter what product you use to clean bare wood, nothing is more important than making sure you have adequately rinsed the surface. Any chemical residue remaining on the wood can have serious consequences later on. 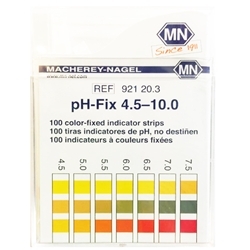 We always recommend using pH Strips to make sure that the surface of the wood has been sufficiently rinsed, preferably to a pH of between 6.5 and 7.5. Take the guesswork out of rinsing cleaners and strippers by using pH Strips.